A street-smart burglar forms an unlikely alliance with a surprise visitor during one of his nightly adventures. A mild-mannered immigration officer strikes up a conversation with a beautiful frequent flyer. A jaded old man living in an old age home finds new meaning in his life when an old woman comes to stay at the home. And a teenage girl battling a terminal disease craves to meet the man of her dreams – Bengal’s ruling matinee idol. These are the four tracks in Pratim D. Gupta’s latest feel-good drama film Ahare Mon. Several filmmakers have experimented with hyperlink cinema in India. It is an attractive proposition, from a storytelling point of view, especially when the interconnections begin to unravel. Gupta’s film plays on the familiar tropes and techniques, and to be honest, there’s nothing you’ll see in his film that you haven’t seen before. The writing itself is not too intelligent, and there are several lingering questions which he chooses not to answer, and which turn out to be major spoilsports in the narrative. But what really saves the film at the end of the day, making it a decent watch, are the performances. Because Gupta has managed to gather a talented group of actors to play the characters who ought to have been written better. 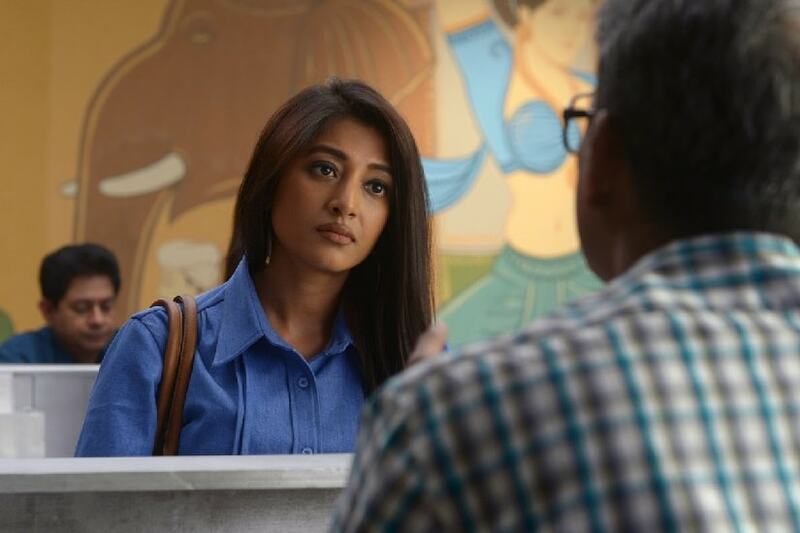 My pick of the lot is undoubtedly Adil Hussain — who plays the role of a soft-spoken, well-meaning immigration officer — who meets Paoli Dam, a strikingly beautiful passenger who comes to his desk to get her Italian visa stamped. The two characters are entirely different in nature. Hussain is a middle-aged middle-class government officer, who never married and has been taking care of his ailing mother all his life. Dam is a fiercely independent career woman who likes to live her life on her own terms. And yet, the two form a bond. An inherently lonely man, Hussain finds himself thinking about Dam and waiting for her to appear in his ‘queue’ again. Dam, on the other hand, is touched by Hussain’s uncomplicated heart. I dare you to take your eyes off Adil Hussain when he appears on screen. He is so likeable, that it will break your heart to see him grapple with his loneliness. And the way his friends at work pull his leg and egg him on will leave a warm glow in your heart. This is acting of the highest order – he has so little to work with, and yet he delivers so much. The other actor who stood out among these talented bunch is Anjan Dutt. In Ahare Mon, he is one of the saving graces of the film, and I doff my hat to him. It is one of the secret desires of film critics that actors who they had panned in the past would prove them wrong and win them over with great performances. Anjan Dutt’s controlled performance in Ahare Mon does exactly that to me. And I am so glad it does. Dutt plays the inhabitant of an old age home, whose purposeless life is altered when a new member – played by the evergreen Mamata Shankar – comes to live there. Dutt and Shankar bond right from the beginning, and when she tells him of a charming man she had met briefly 25 years ago, and who has been writing to her ever since, Dutt sets out to find the man for his new friend. It’s a simple tale, but one that is filled with a warm feeling that challenges our notions of love and friendship. Dutt’s nuanced performance is top-notch and is another salient feature of this sweet but flawed film. Among the other actors, Ritwick Chakraborty does leave a mark as the debonair thief and conman, to some extent, although he must try and free himself from being typecast as it seriously undermines his talent as an actor. Parno Mitra is charming but tends to overact. When it comes to the writing, this track is clearly the weakest, and is a bit too far removed from reality for my comfort. 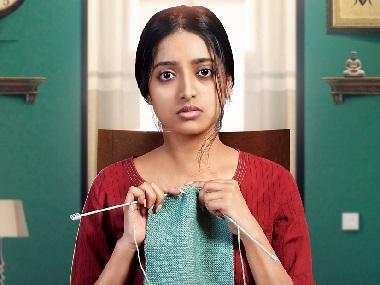 The fourth and final track deals with a young girl battling cancer – played by Chitrangada Chakraborty. I hate to say this, but hers is a story that has been told so many times that it just doesn’t seem to strike a chord, especially without either a convincing telling or an impactful performance. It almost seemed like this track was finished in a hurry, and that the writer did not know how else to bring in the resolution. 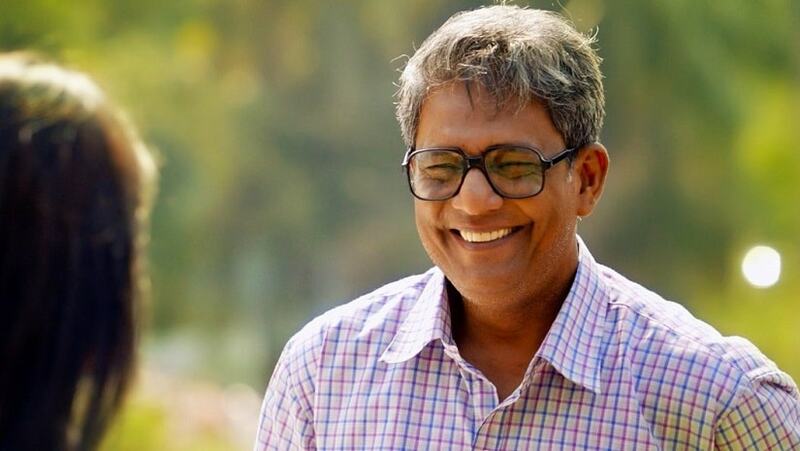 There are some beautiful moments in the film – for instance when Adil Hussain finally gets a lovely gift from the woman he has fallen in love with. Or the one in which Anjan Dutt walks into the ladies’ dormitory to wake up Mamata Shankar at the crack of dawn. But there are several others which ruined the experience for me – for instance a scene involving the Air India mascot which comes across as an over-explanation. Or a scene at the reception of a seedy hotel of questionable repute which will remind you of an Imtiaz Ali film. These scenes are examples of lazy and insecure writing, and one cannot ignore them simply because there are stellar performances in the film. 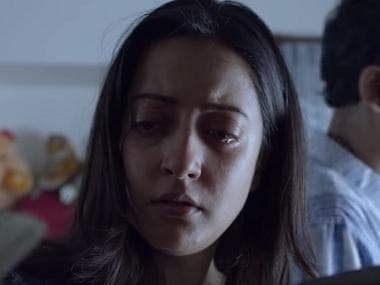 Overall, Pratim D Gupta’s Ahare Mon is a commendable effort, but not one that I can recommend as a great film. I wish that the writer in him would have flourished as beautifully as the director.